Author and Professor Sarah Kinkel joins us to discuss her new book Disciplining the Empire: Politics, Governance, and the Rise of the British Navy. 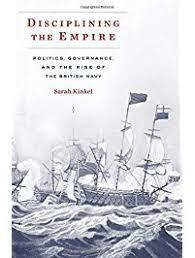 Nelson: Professor Sarah Kinkel, thank you so much for spending some time with me today to talk about your fascinating new book, Disciplining the Empire: Politics, Governance, and the Rise of the British Navy. Let’s start with your time as a student at Yale, where you got your Masters and later a PhD in history. How was your experience at Yale? Kinkel: I actually majored as an undergraduate in Political Science and International Relations, and I thought that would be a direction I would be interested in going. I ended up with an accidental minor in history because they were always my favorite classes. So anytime I had a chance for an elective, it was always a history class. Like a lot of twenty-two-year-olds, I wasn’t exactly sure what I wanted to do. I took a couple of years off between undergraduate and graduate school. I thought about what kind of path I might want to be on, and I kept coming back to the fact that if all my favorite classes were history classes, and I ended up with this minor in it, then that was pretty compelling evidence that this was something that I was really interested in. It fascinates me to think about people’s lives and their experiences from the past and some of the systems they built to manage uncertainty. To me it really is one of the things I like about history because it encourages you to think in big picture ways and ask questions about the way societies work and what holds them together. And I think you can ask similar types of questions about societies throughout history. While I was at Yale I was a teacher’s assistant for a class on the Roman Empire. It was great; I learned so much. I didn’t know any more going into the class than the students did. But my training in early modern Europe helped me think about some of the religious, political, and social changes during the days of the Roman Empire. I had a fantastic time at Yale. I really couldn’t say enough great things about the program, about my mentors. I came in knowing I wanted to do something with British imperial history—but not sure quite what. I was working with Steve Pincus, who is a historian of the seventeenth- and eighteenth-century British Empire. And then, as I started to gravitate toward a more naval focus, I also worked closely with Paul Kennedy. Both Kennedy and Pincus where fantastic mentors and great advisors. One of the things I really appreciated about Yale was the fact that even if I had a professor and even if I only had one class with them, they were all so generous with their time. I expected when I came in as graduate student that some of the professors would blow me off—I mean, these are incredibly busy, important people, Pulitzer Prize-winning historians. But they were always so generous with their time. And they seemed interested in working with graduate students. That was something that I really appreciated about being there. Nelson: What was your favorite class at Yale? Kinkel: My favorite class—and in the big scheme, it influenced my thoughts about my book—was actually a class in the political science department with professor Vivek Sharma. It was a class on the social and cultural history of violence. The class covered how we can understand violence in warfare but also in societies. We use violence against our enemies, but we also use it to police the boundaries of our communities. There’s always an acceptable form of violence—but what is it? It was a class about thinking about the connections between societies and the way that violence is carried out. That class to me was so eye opening. We talked about everything from chivalry to genocide. Thinking about warfare in that context, as not being something that is culturally neutral, that was interesting to me and sowed seeds for my graduate work, as it turned out. Nelson: I want to touch on military studies in academia. In my opinion military history is undervalued or not even represented in many university curricula. They simply don’t include history courses on warfare. Of course, there is the U.S. Civil War, which pops up in many history programs for various reasons. But if you’re an undergraduate or even a graduate student today, it’s hard to find a program that really digs into the history of warfare. Do you agree? Your thoughts? Kinkel: I think it is probably true to say that military history has been sidelined. I think that one of the good things about how we are doing history now as opposed to fifty years ago is that we are asking different types of questions and we are including the history of different types of people. That is all good. But I’m sorry that there isn’t more interest in taking something that is as important and world shaping as warfare and violence seriously. Military history is really, really important. To me, that means less the discussion of operational movements or tactical movements of forces in a battle—that’s not what I spend a lot of time thinking about. It’s important to military professionals, like yourself, of course, to focus on and to learn. But what I want to focus on is how military and politics connect and affect each other. Still, I agree with your assessment. There is not much of a presence for military history in academia today. And when military history is included, I’m still not sure it’s as embedded in the bigger picture of decisions, consequential events, and other social factors as it should be. Nelson: What is it about the British Royal Navy that fascinates you? Kinkel: I originally came to the Royal Navy as a historical fan girl. My grandfather was in the U.S. Navy. I don’t know if that influenced my father. But my father has always been a big history lover. We’d sit around the dinner table at home and he would tell us Horatio Nelson stories. I started being drawn in to some of those classic naval myths. Of course, they’re not all myths, but there is some mythology around them. 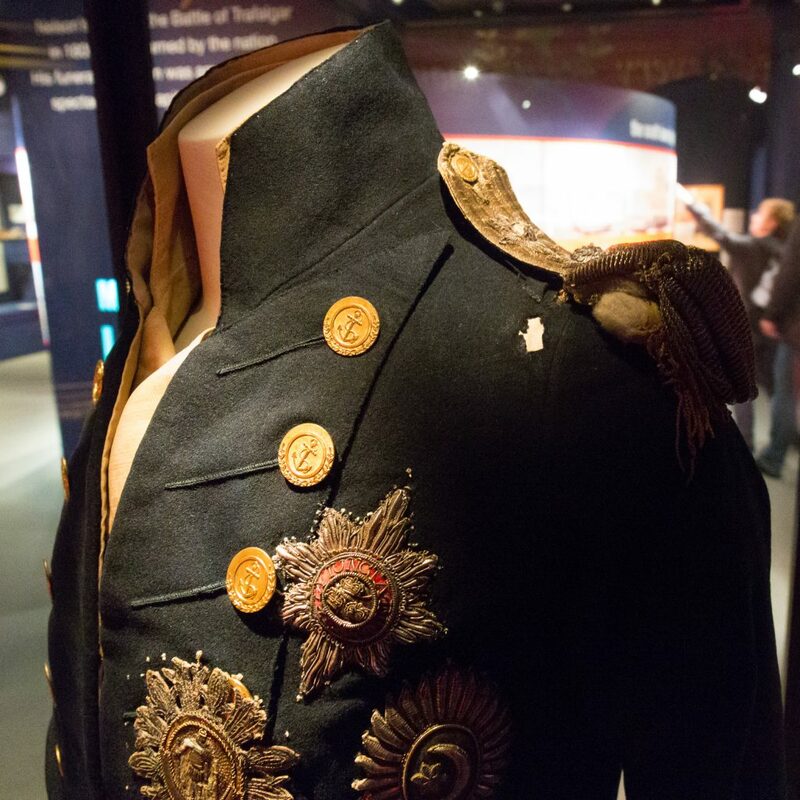 When I was able to travel to England and see Nelson’s bullet-ripped uniform in the National Maritime Museum, wow, it is such a compelling series of stories. I started to wonder why British naval captains fought that way when not everybody did. It seemed to me that the naval histories I read left it at ‘Well, they were British, so it must make sense.’ I’m not sure that is a compelling historical answer. Nelson: For the readers, briefly, how would describe your book? Kinkel: This is a book that explains the eighteenth-century rise of the Royal Navy by integrating that story with the major political debates of the century. Other books have explained how Britain was able to build the world’s most dominant naval force, and have pointed to elements like geography, economy, institutions, and battle culture—which are all important but don’t necessarily take into account the fact that there were real arguments over the form and function of the navy. This book explains why some people (but not others) thought an aggressive, powerful, and disciplined navy would be a good idea, and how that battle culture was actually created, because it wasn’t innate. I think that for far too long naval history and political history have been kept separate. That is just stunning to me. The Royal Navy was the single largest organization of people and resources in the entire empire. It was inherently political. We know how deeply divided the British Empire was over issues like the constitution; over the question of who gets to hold authority in society; over what the empire should look like. And the navy was fundamentally tied to those questions. Nelson: In your introduction you refer to “political contestation” as a topic that is rarely covered. Is this what you are referring to–issues over political authority–when you say “political contestation”? Kinkel: Yes. Absolutely. A lot of people in the eighteenth century agreed that there were problems facing British Imperial society. They disagreed fundamentally about what the most important problems were and how to solve them. Nelson: I enjoyed learning about some the historic figures in your book. Who were some of the consequential personalities that shaped the Royal Navy in the eighteenth century? What were the governing bodies that ran that navy back then? 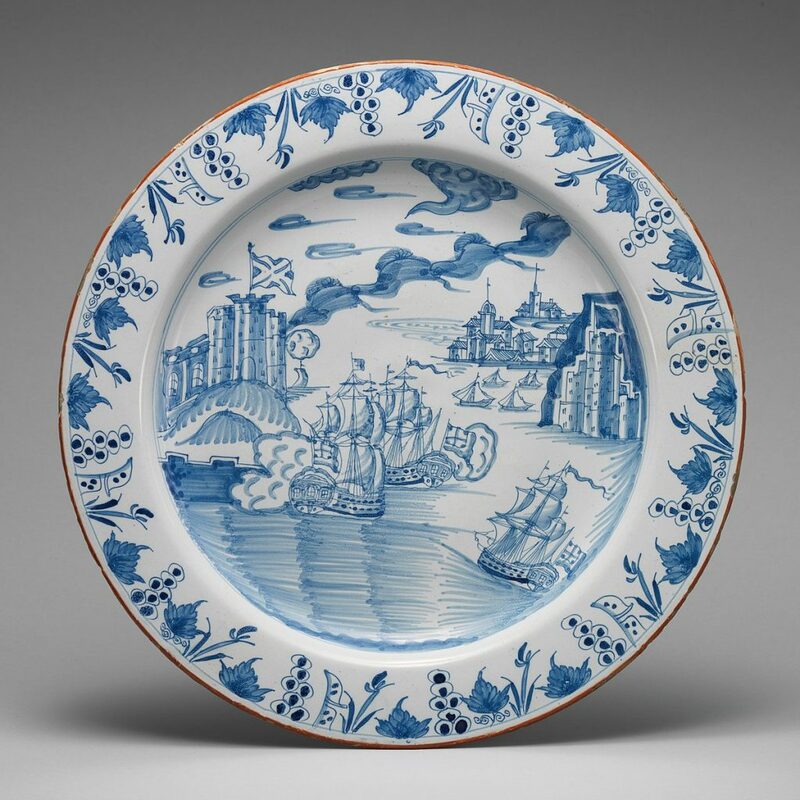 Kinkel: It is a navy that changes over time during the eighteenth century. It starts out and continues to be a complex set of overlapping bureaucracies. There’s five different bureaucratic boards that have authority over different aspects of naval affairs. We tend today to think about the Admiralty as the first and foremost of the organizations. It became that way, but during the time period I focus on, in theory the Admiralty only has control over officers and ships that are currently in service. The Navy Board, which is a separate institution, and coequal to the Admiralty Board, has control over shipbuilding, dockyards, and supplies. There’s an Ordnance Board and there’s also a Sick-and-Hurt Board that deals with invalid sailors. So the Admiralty can’t really tell the other boards what to do. At the beginning of the century, it is not clear what kind of role, if any, that the Admiralty might actually have in shaping policy. The head of the Admiralty Board is not automatically a cabinet position. There’s even periods in the first decade of the eighteenth century where there isn’t an Admiralty Board—they decide they just don’t need it. There’s no one person who is clearly responsible for everything that is happening in the navy. In the early years of the century, the most powerful people were the admirals themselves. They had small fiefdoms over their ships, patronage, and recruitment. Even in the early 1740s there’s a period where George II lets one of the senior admirals have command over all of the ships in home waters without having to go through the Admiralty first. This, as you can imagine, is chaotic. It is up to individuals in different bureaucracies to make things happen. If you have political capital and energy, this helps. But it is up to individuals who hold particular positions. We start to see a change in the middle of the 1740s. In December of 1744 there is a new group of Admiralty commissioners who come into the Admiralty Board. They are a combination of politicians and sea officers. They start to institute a series of naval reforms. And this is the core of my book. So at that point, you see the Admiralty Board start to increasingly assert itself politically—in Parliament, among politicians, monopolizing authority over other boards, and officers as well—but at the same time they put in place naval reforms that were designed to strengthen and centralize the control over this massive, sprawling bureaucratic structure. Naval historians have attributed these reforms to one of the sea officers who came in to this Admiralty Board in 1744—George Anson—he’s newly famous and had just circumnavigated the globe, plundered the Spanish, and he’s quite popular. Yet I think this attribution is misplaced because in my opinion, the reforms come more from two of the politicians who joined this board: John Russell, the fourth the Duke of Bedford, and John Montagu, the Fourth Earl of Sandwich. These politicians come in and make changes that they want to see in the British Empire, and British society, and they do so by using the navy to accomplish some of those goals. Nelson: I want to turn to British Naval professionalism. When does the British Navy realize that they need to professionalize? What does that actually mean? For example, I don’t believe they even had a standard naval uniform in the early eighteenth century, correct? Kinkel: Great question. I don’t think there is a consensus about the question of professionalism in the eighteenth century. There was always disagreement and push-back to professionalizing the naval force. And I’ll get into those reasons in a moment. We start to see the argument for professionalization in the 1730s, and then it really comes forward in the 1740s. Britain is once again involved in a colonial imperial struggle with France and with Spain. It doesn’t go well for the Royal Navy. The one lone exception is Admiral Edward Vernon who has a much celebrated victory at Porto Bello. The navy is just not doing well in the war. There are lots of metrics that people are using to indicate how poorly they’re performing. Merchant ships are reporting that naval convoys abandoned them to privateers; there are navy captains fleeing in the face of numerically inferior forces; and there are lots of public pamphlets that say that sea officers aren’t thirsty for French blood, they are thirsty for French wine—and they don’t want to spill a drop of either. Professionalism, then, is put forward as one possible answer to these issues. To me, I think it means that they need to make the navy look more like a professional standing army. Because now they have ideas and examples to go by. We know the standing army revolution has already happened a century before. I think they want to create something similar—I call it a permanent standing navy—that is going to be there in war, and it is going to be there in peacetime. So now you are going to get career officers, trained and disciplined sailors, standardized processes, and a clear hierarchical command. This is going to be a navy that can be trusted to behave reliably. Once an order has gone out, it will be followed or there will be consequences. You’re absolutely right to point out that in the context of these reforms, this is the first naval uniform. In the decades previous, you couldn’t necessarily tell who is in the navy and who is not. There is not a uniform to mark people out. Ships at various points—merchant ships for example—were co opted into royal fleets for battles in the 17th century. And were still privateers on the oceans—these are private ships of wars. Even in constitutional theory, sailors were understood to be in the navy in so far as their name is listed in the ship’s books. If your name is not listed in the ship’s books, then you aren’t in the navy anymore. And for officers, there wasn’t a coherent career path. In the late seventeenth century, you might be a gunner in one ship, and then you might be a lieutenant on the next, and then go on to the merchant marine force. Professionalizing the force is meant to transform this navy into something of permanence, something that is reliable and clearly marked out from civilian ships, from private naval warfare. The people who want professionalization are pretty skeptical of private violence, which could be in the hands of just anyone, and really want something that is clearly not that. Nelson: What are some examples of how the Royal Navy incentivized behavior at sea? Kinkel: This is one of the areas that I want to push back against the classic story about the military revolution and how it happened and its effects on society. One version goes like this: There’s transformation in technology that then forced transformation in warfare and then that in turn forced changes in politics and society, and that’s how you get the modern state. Now, again, that’s one argument. I think it’s not completely wrong, but in this case it’s also not completely right. There is no transformation in technology in the British Navy in the course of the eighteenth century that suddenly makes officers and ships better fighters. There’s a couple of tweaks. We get copper sheathing for example, late in the century. It makes ships more sustainable in the longer-term in warmer waters. But what we’re fundamentally talking about are changes in behavior. One of the conundrums this Admiralty Board faces is that you can’t directly supervise what your officers are doing at sea. By definition if you want to have a navy that you can send to project power to the far sides of the world, it is going to partially be out of your control. That’s why it is so important to have officers that you believe are reliable. So they think a lot about how do you constrain and shape behavior. There is an emphasis, to some extent, on training–certainly there is an emphasis on training a ship for combat. There was some skepticism in British society about whether you could train officers on shore or if you needed to send officers to sea to train and learn the profession practically. There were some new investments in training young officers at the Portsmouth Naval Academy. But the focus during this time is on practical education. In terms of shaping officers’ behavior, the Admiralty is helped by the fact that there were always more would-be sea officers than active positions—especially in peacetime. So they let it be known that your continued employment, if you wanted one of these limited positions, would mean you would actually have to follow the system. They then followed through with the carrot and stick approach. If you followed their orders, and fought the way they wanted to fight, and created the culture onboard your ship that they wanted, you could expect promotion, a chance at prize money, and a good cruise at sea. And because these officers are in direct competition with on another, this incentivizes their behavior. If you don’t follow these rules, you’re not going to get anywhere. There’s nothing worse—as we learn from the Patrick O’Brian novels–than being a forty-something lieutenant without prospects. That’s just not a good place to be. One of the reforms the Royal Navy institutes is a new rank: Admiral of the Yellow. Previously the idea was once you became a post captain, you rose up the ranks and then eventually retired as an admiral. The problem was that the Royal Navy couldn’t pick out the best sea officer for the job because of this system of hierarchy. There was always someone senior for a command, who if he wasn’t chosen, it caused offense and sometimes political scandals. But when they created this new rank—Admiral of the Yellow—the Royal Navy could now appoint as many people as they wanted to this new rank without having to give them a command. This allows the Admiralty to reach as far down the ranks as they want to promote the officers they think are the best. None of these reforms were universally accepted, by the way—officers were invested in the existing system and not all of them wanted to see it changed. People complained about the fact that there might now be “boy captains,” as they termed it; some people refused to wear the uniform; the Navy Board ignored Admiralty attempts to standardize shipbuilding. Name the reform and there was resistance. But the Royal Navy acted pretty quickly to put teeth behind these reforms and to, shall we say, “dissuade” protests from within the service. In 1746, Admiral Vernon, one of the most popular officers at the time—a man whose face was on household items, on posters, prints hanging in houses, salt shakers, you name it, he was a celebrity in mid-eighteenth-century Britain—got into a power struggle with the Admiralty Board. He said he wasn’t given high enough commands for his honor. He thought he wasn’t given enough autonomy and that the Admiralty was trying to constrain him. He was flaunting his public power. Yet the Admiralty cashiered him. They were willing to fire the most popular face of the service. This emphasized to the younger officers that continued employment in the navy meant that you had to abide by the Admiralty Board’s direction. Nelson: What is the importance of the Naval Act of 1749? 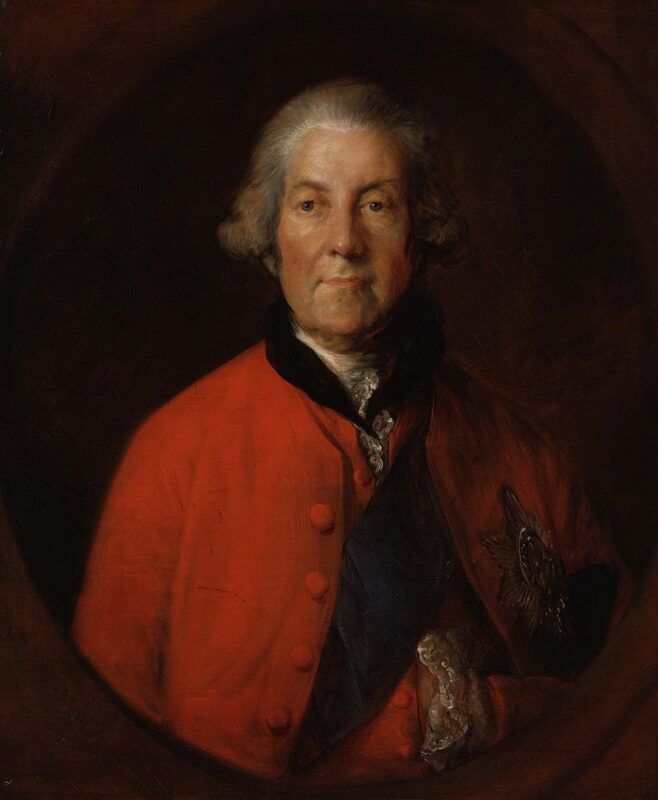 You mentioned Admiral Byng earlier, who was he and why is his fate linked to that famous naval act? Kinkel: The members of the Admiralty Board were pretty clever at incentivizing sea officers to go along with the new culture of naval service they hoped to create. Promotion and continued employment were clear carrots, but they also wanted to have a stick they could use. 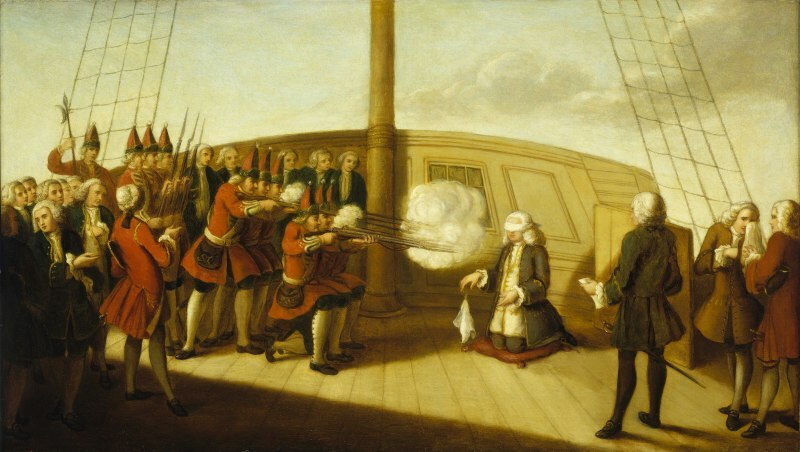 There had been a number of very politically contentious courts martial earlier in the 1740s, and one in particular after the 1744 Battle of Toulon in which an officer who chose not to fight was exonerated—because he had the right political connections—while an officer who did fight was cashiered. To prevent something like that from happening again, the new Admiralty Board put forward what became known as the 1749 Navy Bill. The bill was hugely controversial and was only passed after some intense parliamentary debate and public protest. In earlier years, that could have meant a number of things in terms of actual punishment, but the 1749 Navy Bill said there was only one possible outcome for that offense: death. Byng was rich, and well-connected, and he was executed regardless. That really sent an incredibly stark signal to all the other sea officers that the dangers of disobedience were real. I think it’s not a coincidence that in the years right after Byng’s execution, in the rest of the Seven Years’ War, we start to see sea officers behaving and fighting in far more aggressive ways. They chased enemies into dangerous shoals and rocky bays rather than back down, for example, and increasingly risked their fleets against superior forces. For me, the 1749 Navy Bill and Byng’s execution, which proved that the Admiralty really meant it, set the tone for what would be expected of sea officers for the rest of the century. They’re the foundations of the new naval culture that would eventually lead to victories like Trafalgar. Nelson: You describe in your book how the Royal Navy created a legacy of officers that were good at their job. This is largely done by patronage. What was patronage in the eighteenth century Royal Navy? And while naval officers use a different term today—“mentoring” maybe, or “grooming”—what are the similarities and differences between patronage in the eighteenth century and the twenty-first century? Kinkel: I don’t think that people would have thought about patronage as nepotism or favoritism–not back then. The way it worked over the eighteenth century is we don’t see politicians influencing naval promotion. Letters of recommendations for would-be sea officers are coming from other sea officers. After mid-century, they really are increasingly emphasizing the idea of merit. And it would reflect badly on a superior officer if you pull up someone who goes out and wrecks their first ship. There is an incentive in terms of your own reputation and legacy to identify talent. From my perspective I see this as not dissimilar to how I think patronage continues to work in our contemporary world. Generally speaking, people in positions of authority want to be supported by people of talent. Big organizations are about teamwork. You need to have someone you can delegate to and you can trust and will make you look good. If your subordinates are bad at their job it will make you look bad. I think this is true in business and politics and other spheres today, just as it was back then. I don’t think patronage is inherently divorced from the concept of merit. I do have an axe to grind when people talk about patronage as somehow antithetical to merit. Now, it can be in some circumstances–but again, I would just call that nepotism. Patronage is a vote of confidence. And absolutely, yes, it can be a vote of confidence on the basis of merit. I say this in the book: today we still rely on personal connections to advance in life, we just call it “networking.” Fundamentally, eighteenth-century patronage is not much different from modern concepts. Some people do fall through the cracks and some talent is not identified, but broadly, people accepted this system. Nelson: In your book, you’ve included 90 pages of notes. What sources did you rely on? What sources did you keep coming back to? Kinkel: Some of the books that influenced me first were books on political history and turmoil in eighteenth-century Britain. I saw a disconnect between how naval historians described this period and how political historians described this period. I thought there was a disconnect. Some of the books that I was reading that did influence how I was thinking about maritime history were books by N.A.M. Rodger, Daniel Baugh, and Jeremy Black. One of the examples I thought my book could look like was Kathleen Wilson’s Sense of the People. It’s a book about the arguments over empire. She touches on the resonance that maritime issues clearly had for a large sector of the British population. She talked about Admiral Vernon, she talked about Admiral Byng. So her books showed me one possible version of what fused politically aware history of the navy could look like. Nelson: Professor, to close, what are some of your favorite books on maritime history? Kinkel: I think we have a tendency to think about oceans as negative space. But back then, so much of what is important to eighteenth-century Britain takes place on the ocean. From that perspective, I want to read about history that can connect the ocean with the land. For me, my favorite books about maritime history have always been books that show the big picture what’s at stake with everything that happens on the ocean. One book that came out a few years ago that is really interesting is The Saltwater Frontier by Andrew Lipman. It is about how the areas of coastal waters between what’s now Cape Cod and the Hudson River became a space of contestation and negotiation between a number of European and Native American powers in the early days of colonization. Another book that came out in the last couple of years that I really admired is Sam Willis’ book The Struggle for Sea Power. It is, to some extent, a history of the naval campaigns of the American Revolution. But it is a book that takes place almost as much on land or in coastal waters or rivers or lakes as it does on the open ocean. He makes a really compelling point that navies were symbols. There is a moment when the leading citizens of Providence burn a naval ship to the waterline and shoot its commander. Willis points out, rightly, that the burning of the HMS Gaspee is a political statement. During the American Revolution the British are obsessed with building full-sized frigates on Lake Champlain. They definitely don’t need to do this to control these waters. They actually deconstruct a sloop and pull it through the woods plank by plank and rebuild it on the lake. The book deals really well with technical issues–like why navigating sea ice is so hard–but it also deals a lot with the wide varieties of ways navies mattered: economically, politically, and symbolically. Something that recently I taught in a class on the American Revolution, is a chapter on Boston from Benjamin Carp’s book Rebels Rising. It’s a book that about cities, not ships, but this chapter is one of the best descriptions I’ve seen about how fundamentally maritime power, money, and life Boston was. It is also just a really well-written book. A lot of my students picked this book as their favorite read during the semester. Finally, I love the movie Master & Commander. One of the things we struggle with as historians is trying to recapture the experience of what it would have been like during the time. I just think that movie is so good. It’s what I imagine the experience of being on an eighteenth-century warship would have been like–it’s so visceral and brutal and tedious. Sometimes when you watch a film and the topic is close to your day job, you’re so fixated on inaccuracies that they can ruin the film. But I never feel this way when I watch this movie. If I ever taught a class that was just about maritime history, I would make the class watch the movie. There are different ways of telling stories about the past–historians tell them one way, novelists another, and filmmakers another. I’m not convinced one is better than the other in recreating the reality of people’s experiences. Good historical fiction has a real role to play in telling these stories. Nelson: Professor, this was great. Thank you. Sarah Kinkel received her PhD from Yale University in 2012. From 2012-2015, she was the managing editor of Eighteenth-Century Studies. She has since taught as an Assistant Professor at Ohio University. Christopher Nelson is a U.S. Naval Officer stationed at the U.S. Pacific Fleet Headquarters. He is a graduate of the U.S. Naval War College and the Maritime Advanced Warfighting School. He is a regular contributor to CIMSEC. The questions and views here are his own. 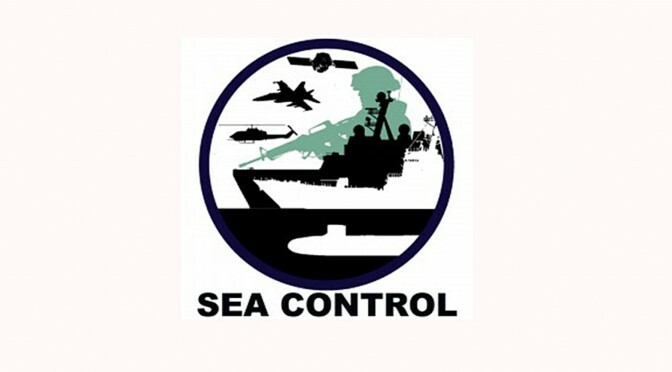 Join us for the latest episode of Sea Control for a conversation with Dr. Eric Grove on the UK’s maritime strategy, the evolution of its national security strategy in the post-9/11 era, and force structure debates in the current era. A transcript of the interview between Dr. Eric Grove (EG) and Roger Hilton (RH) is below. The transcript has been edited for clarity. RH: Hello and moin moin, Center for International Maritime Security listeners. I am Roger Hilton, a non-resident academic fellow for the Institute for Security Policy at Kiel University, welcoming you back for another edition in the Sea Control podcast series. Great Britain is one of the few island civilizations that for centuries served as the center of a sprawling global empire. Obviously, this success would not have materialized without their prowess at sea. This mastery of everything maritime was captured in perfectly in Peter Hopkirk’s book, The Great Game, when Captain James Abbott explains the extent of territory and power of Queen Victoria to a Khivian Tribal Lord. A glance at the map, he said, would show him that the seas occupied 3 times as much of the earth’s surface as the land. Adding, that wherever the ocean rolls, there my queen has no rival. Here today to help us update the state of this mastery is Dr. Eric Grove. Dr. Grove is a commanding authority on naval history and a fellow at the Royal Historical Society, a vice president and fellow of the Society for Nautical Research and a member of the Council of Navy Records Society. In addition, he is author of Vanguard to Trident, the standard work on the post 1945 Royal Navy. Dr. Grove, welcome aboard today. EG: I’m very happy to be able to talk with you on this very important subject. RH: Well, I couldn’t agree with you more. With so much of the media both at home and abroad focusing on the state of Brexit, it will certainly be refreshing to hear your thoughts about Stanhope to Zambellas and the UK’s naval strategy in the 21st century. Your piece begins by declaring your positivity about the state of the Royal Navy from the time of the Vienna Congress in 1815 to the beginning of the current century. Following the end of the Cold War in 1991, this produced mixed results for the Royal Navy. On one hand, the concentration of resources and preoccupation with continental commitments of ground and air forces had ended. A positive in theory which you mention in your piece. In opposition, due to the peace dividend, the Royal Navy suffered serious cuts. Prior to reviewing the 1997 Strategic Defense Review, can you contextualize what those budget cuts meant for listeners? EG: Well, the Navy didn’t suffer as much as the other services. In fact, the Army lost about 120,000 people in so-called “options for change process” which some people criticized because it wasn’t focused enough. The Navy lost about 60,000 people, but the cuts were limited. The number of frigates and destroyers came down from about 50 – actually it was more like about 45 to about 40, which sadly turned out to be a little less than that. But the Navy on the whole was able to argue that in these new strategic circumstances, it should suffer least. Now, the continental commitment had been tremendous – the commitment of ground and air forces in Europe had been a major factor in British defense policy throughout the Cold War. The fact that that continental commitment, if not being abandoned, was being wound down meant that the space, if you’d like, for the Royal Navy was actually rather greater in terms of the overall defense budget. So, although there were cuts, they weren’t as significant as they might have been. One might say the priority of the Royal Navy overall in British defense policy increased. RH: In 1997, the British people overwhelming elected Labour’s Tony Blair. As you and I both know his record has shown he was not shy in foreign policy. RH: Immediately his government commissioned the strategic defense review, which you describe as a major triumph for the Royal Navy. Consequently, Labour’s more interventionist oriented foreign policy was greater than their predecessors, the Conservatives under John Major. Dr. Grove in practical terms, what did the SDR mean for the Royal Navy? What are the positives and negatives that our listeners should recognize in such a complex document? EG: Well, the most important thing was the decision to purchase two large aircraft carriers. These were the only platforms actually mentioned in the introduction by Defense Secretary George Robertson to the Review, as he put it, in the future, we can’t expect the crisis to come to us, we have to go to the crisis. And so, the two aircraft carriers were in there. Apparently, there had been quite a lot of controversy right up to the publication of the Review. We know a lot about this Review because in those days of open government they allowed the BBC in to do a fly-on-the-wall-documentary. And there you see the carrier very ably being defended in perhaps a slightly unlikely Baltic scenario, supporting an eastern European country. So, going for the aircraft carrier and making the carrier the centerpiece of the future Navy was I think a major victory although some would say it was putting a lot of eggs in those baskets. But on the other hand, it was a great success. The cuts to the surface fleet were kept limited. And to submarines, and so it looked as if the era of continentalism was really over and that British strategy would have a maritime emphasis. They actually even asked the academics about this Review. I went to a meeting in Coventry, in the Midlands of England as far north as civil servants would let the government go without falling off the end of the world, and I said at one point, if you don’t know who you’re going to fight when and where, then maritime forces and maritime platforms are more important. And a junior defense minister nodded sagely, so I think I made my mark. RH: I mean there’s no doubt and I think you would agree that Secretary of State Robertson was on to something when he said you had to go to the crises rather than expect them and as everybody would recognize, an aircraft carrier is the ultimate tool of power projection. RH: And so much utility to it. Something that I found super interesting in your piece was how you mention the previous Whitehall defeats of 1966 and 1982 for the listeners. So maybe you can also elaborate on how the Navy overcame their previous Whitehall defeats from those periods. EG: Well in 1966, there was a big argument between the Royal Air Force and the Royal Navy as to what could do the east of Suez job, the job of intervening east of Suez in the Indian Ocean and the Southeast Asian areas best as far as air power is concerned. And the Royal Navy was really out-argued by the Royal Air Force whose apparent command of modern analytical techniques really impressed Defense Secretary Healey. Who later said in fact he’d been rather hoodwinked but still. Then again in 1981, Defense Secretary John Nott who’d been put in to bring the budget of the program into greater congruence lost faith in the power of the naval staff because he had been told things in the United States about the future shape of the battle of the Atlantic and he believed the Americans rather than the Royal Navy. In fact, it was a time when strategy was changing toward the more forward strategy of the 1980s. They began to recognize that the Whitehall battle was as important as any battle and perhaps more important than most. And by the late 90s, the Royal Navy had got rather good in arguing its corner within the Ministry of Defense. And I think as I say if you look at this TV program, it’s very interesting to see how well the naval officers are arguing and how positively, and the Royal Air Force and the civil servants are both on the defensive. RH: That’s a positive for our listeners who know that into the future, the Royal Navy will be able to defend their positions adequately well and hopefully not suffer too many devastating budget cuts. EG: Better, but of course the balance shifts at various times as we shall see later on. RH: Our listeners should get the popcorn as the tensions between the rival factions is something out of theater. Dr. Grove, as the Royal Navy enters the new millennium, you claimed its new expeditionary strategy was justified and cite operations specifically in Sierra Leone that helped its stabilization as an example of proof. You subsequently identify a watershed moment – the attacks of September 11th – as a negative turning point for the Royal Navy, as it led to the re-emersions of a continental strategy. In fact, Europe was replaced with Asia in your words. Before going into more detail, can you explain why Navy personnel loathed the concept of continental strategy. EG: Because it took attention away from what they regarded as the important dimensions of an island nation. An island nation needs a Navy if it wants to protect itself and project power. And having to put so much emphasis on a major commitment to ground troops, not just troops but their families as well. Back in 1981 there was a major conflict between the First Sea Lord and the Ministry of Defense who wanted to say well why not bring families home, it will save a great deal of money. Although, actually bringing the families home, trying to find facilities in Britain, it meant also bringing the troops home and would actually have spent money rather than have saved it. But in general, the Royal Navy disliked very much being tied down to sort of a single threat, in Germany, and largely a land and air threat in Germany rather than a more substantial global threat. And you can see in the writings of people like Admiral Richard Hill for example, one of the leading thinkers of the Navy at the time, a considerable frustration that the continent was taking resources away from a more balanced strategic policy. RH: But if it was disadvantageous against the Royal Navy, who was it in favor of, specifically was it the Army or the Air Force? EG: Well both, it was the Army and the Air Force, it was both land and air contribution. It certainly helped the Army. The Army was able, very easily, to argue its case because it had a 200 km section of the central front, it knew precisely who it was going to fight, it had a very good idea of what it needed and actually it increased the sophistication of its doctrine. It invented the concept of doctrine in British defense circles in the later Cold War period. The Air Force too. One needed a considerable contribution of aircraft as well. And so, this became the priority. And one saw it in fact, particularly in the 1981 Defense Review, the John Nott Defense Review. Where in fact, with respect to the Atlantic commitment, the Chief of Staffs had tried very hard in the 70s while under pressure from the defense reviews to come up with the four pillars of British defense policy. But certainly seeing it in 1981, with the land and air contribution to central Europe, was considered to be much more important than the contribution to the North Atlantic. And that was something that naturally the gentlemen in dark blue didn’t like. RH: If we did a quick counterfactual exercise Dr. Grove, if September 11th had never happened, how do you think the Royal Navy would look today? EG: I think it would look somewhat larger. I think we would have kept a carrier capability throughout the century so far, we wouldn’t have done away with the carriers as they were later done away with. Thankfully, temporarily I think, it would be relatively larger, and I think given the kind of operations that might have occurred and such as Sierra Leone which I think we’ll be coming back to. I think that in these circumstances, if strategic circumstances stayed the same we’d have more frigates and destroyers, we’d have had perhaps a marginally larger attack submarine force, and we’d certainly not have abandoned carriers as we did temporarily in the 2010s. RH: Forgive me, but I have to ask this question, but if your desired wish to have an expanded Navy had materialized, how do you think that would have influenced British foreign policy? In terms of being able to go do more crisis-oriented situations or what would be the real impact on drafting of foreign policy? EG: Well, we might’ve done more in Africa, I mean I think one of the trends at the very early years of the 21st century were operations in Africa. And I think even the operations then were sort of stretching the armed forces somewhat. And I think therefore there may have been perhaps a more gently interventionist policy shall we say in various parts of the world where British government was trying to intervene as a force for good which was what they used to say. And of course, we have the Blair doctrine of humanitarian intervention. Whether that might have backfired badly is of course something we can’t say, but I think what did certainly happen was that the commitment to Iraq and to Afghanistan greatly helped the Army in its pressure to make the Army the major service, and in fact almost come up with a cultural change where the media began to refer to servicemen as soldiers. RH: I mean no doubt the pursuit of very sought out financial resources was extremely buoyed by both the interventions in Iraq and Afghanistan but hopefully as we move forward, you can elaborate on if you think if England is in fact losing its island nation ethos, which is the lynchpin to Great Britain’s great success in the past. EG: Well, you could say it’s the opposite now. I mean, you mentioned at the start about Brexit but in fact actually, you might argue that our desire to leave the European Community or European Union, is in fact part of Britain redefining as a sort of a second rank, not second rate, but second rank global power. So, I think that some future historians might see a sort of secular trend taking place, of Britain repositioning itself as a more global power, and so you know perhaps we’re in the middle of some great historic trend but certainly it could help the Navy somewhat but of course the budgetary pressures remain very considerable. RH: I couldn’t agree with you more though, but I mean as Great Britain ventures out to the unknown abyss at the moment I think you would be in agreement that the Navy will only start to gain more relevance, if they’re trying to reposition themselves as a second rank global power with access to world markets. EG: That’s right yes. We need to go back and look at Admiral Richard Hill’s, of late he died recently sadly, but his book ranked medium naval powers. Because I think that is certainly the role which Britain wishes to fulfill. The British still consider themselves to be a world power if not a superpower and if they want to be so, then certainly maritime forces are very important. Now, whether in fact that Navy will get the resources to do that given the balance of shall we say political power in the ministry of defense or within the armed services is a moot point. I think Cameron had been converted to a born-again seapower man by the time he resigned. The position of the present government of course is so preoccupied with other things it’s hard to say. RH: I mean there’s so much uncertainty but I mean some of the wild theories about substituting the European trade…I’ve even read about Great Britain potentially joining NAFTA? And you have a very sympathetic regime, or should I say administration with President Trump. So obviously with such great logistical issues the Navy will once again play a major role and in facilitation of capital and goods. EG: Well, I think once the carriers come into service I think people will be quite surprised actually, the potential of Britain’s maritime forces. The problem is of course, are the RAF really wholeheartedly behind the idea of the joint force. I mean one reason the carrier came along back in 1998 was because there was an accord between the RAF and the Navy to set up Joint Force 2000 but it originally was Joint Force Harrier as it became and they hadn’t come up with a name for it but of course the first squadron, the 617 squadron of the Royal Air Force the Dam Busters’ is in fact a joint RAF-Naval affair, but there’s only one squadron. And as some critics have said we have this wonderful carrier which looks marvelous, and I was on board her recently and she is marvelous, but, you know, what about her aircraft? 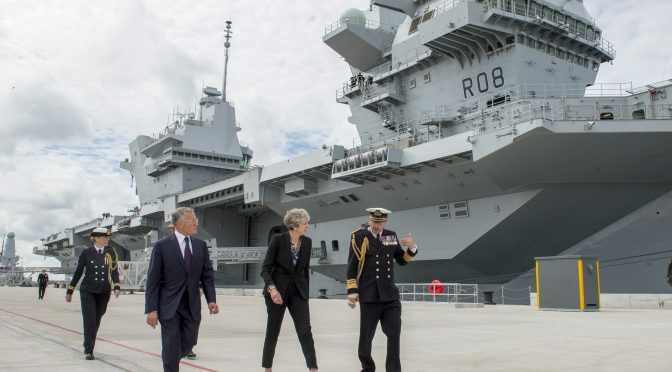 Now she’s going to go to the Far East in 2020 with a combined British and American group, which goes right back to the origins of the carrier, actually, that in fact the idea was that it would give Britain a say in the actions of a joint force air component commander. So, having a combined air group on board is actually a very important thing. And this of course brings in another dimension. The Royal Navy as, shall we say, is part of the cement in the Anglo-American strategic relationship. RH: Nine years on from 9/11, the British government was occupied by a Conservative, Liberal-Democrat coalition led by David Cameron and Nick Clegg. Outside of its borders as we’ve already mentioned and discussed, the UK was firmly involved in both Afghanistan and Iraq which as history has shown did not go according to plan, to compound problems a wave of economic decline through the Great Recession was sweeping Europe and North America. Against the backdrop of this coalition government it undertook as you mention a hurried Strategic Defense and Security Review. An SDSR. To begin with can you clarify the difference between an SDSR and an SDR. EG: Well, the idea was, in principle that in fact that one should look at national security in the round set in how the National Security Council was set up to try to come up with a policy which made more sense. Unfortunately, the lead was quite clearly the Treasury. They couldn’t afford everything. And as I said at the time the Army wrapped itself in its Afghan blanket which proved to be extremely effective and kept it nice and warm and the other armed services paid the price, particularly the Navy. I remember my late wife coming into the bedroom on the night of the review and saying “Eric, they’re scrapping Ark Royal” and I couldn’t believe it because right up to the end of that Review, and it demonstrated a sort of disconnect between higher security policy and the actual defense posture and the budgeting for it. It looked as if, the Harriers, the short takeoff and landing Harriers, operating from the aircraft carrier Ark Royal at the time would survive and the land-based Tornadoes would go. But there was, right at the end of the Review, a serious counterattack by the Chief of the Defense Staff, a senior RAF officer, and would you believe, a Tornado officer, who convinced the government that it should be the Harriers that should go, without necessarily telling the Prime Minister, rumor would have it, that in fact that would be the end of the aircraft carrier. But once they were committed to the demise of the Harrier, and this was a problem of course because the Joint Force put the RAF in the driving seat, as far as the carrier air groups were concerned. And they decided on their own priorities, they wanted to keep the Tornado, and so the Harriers went, and the carrier capabilities went also, because officially it was estimated that there would not be a requirement for aircraft carriers in the next 10 years or so. Things didn’t turn out quite that way. RH: I mean to think that carriers are never needed is a bit of a farcical proposition. From my perspective at least. EG: It was an overambitious one (laughs). RH: But based on everything you just said then, what was the major takeaway for the Royal Navy based on the hurried SDSR, was it the takeaway of the Ark Royal or was it the last-minute pressure to keep the Tornadoes? EG: Well as far as the Navy was concerned, it was the loss of Ark Royal. It came as a big surprise, now the current commanding officer HMS Queen Elizabeth, the new aircraft carrier, which is coming into service, was the last captain of the HMS Ark Royal. And he learned on the news that his ship was going to be decommissioned. Which only goes to show the hurried nature of the final decisions of the Review. And it was the loss of the carrier that was the important thing. Yes, the submarine force would be retained to a very large extent, a marginal reduction from eight to seven, new submarines would be coming into service, the nuclear deterrent was to stay, and in that period the amphibious force, although it was notably reduced, one of the amphibious transport docks would be going to reserve. But nonetheless, the rest of the Navy on the whole, suffered not quite so badly as perhaps it might have done, but the real loss was the loss of the aircraft carrier, the loss of carrier strike. And this caused a tremendous, in the fleet air arm, certainly in the air component to the Navy, it caused a tremendous, well no, a near revolutionary feeling as I found when I gave an after-dinner speech down at Yeovilton, the naval air station shortly afterwards. I’ve never seen a more mutinous bunch of young officers in my life. RH: Mutinous is the perfect word to describe where we’re heading next, Dr. Grove. You make no effort to hide your disappointment about the paradoxical commitments to power projection based on the 2011 Defense Planning Assumption. RH: And now for our listeners the real palace intrigues starts. Can you elaborate on the tensions between the Army and the Nvy against the RAF and specifically the role of the famous Tornado mafia? EG: Well yes, I mean, the Tornado force, the sort of long range strike force is very close to the soul, one might say, the soul of the Royal Air Force. The Royal Air Force in the 1920s acquired strategic bombing as its major role, it was their major offensive capability in the Second World War, to which virtually all else gave way. It was the nuclear delivery system for a long time, in fact I think the RAF has never quite forgiven the Navy for taking over the nuclear delivery role. It was one reason they were so determined to hang on to limited war and air power in the east of Suez in the carrier controversy of the 1960s. And so, the RAF has tended to emphasize certain aspects of air power, leaving maritime airpower and naval airpower in the hands of the Navy. And now in fact the Navy wanted back in the 60s something rather like the current joint force. And they offered a partnership with the Air Force on carrier-based aircraft. But the Air Force turned that down. Because it wanted to use the east of Suez scenario for its long-ranged land-based jets. And that of course is what the Air Force really believes in. Now if the only way they’re going to get something like F-35 aircraft is to actually go along with the Navy and go along with the government in the joint force, well and good. But certainly, as late as the SDSR in 2011 they put the maintenance of their Tornado force way above their contribution to Britain’s carrier force and if that meant the end of the carrier force, so what. RH: Another point that you raise regarding the 2011 Defense Planning Assumptions is the role of BAE, specifically in a hiatus in building that would mark the end of the industry. Could you comment a little bit within the procurement realm about the significance of what that would mean for BAE and for future carriers. EG: This is very important actually, because the government of that time was so against carriers. Basically, Cameron and the Conservatives in particular saw the carrier program as a nasty Labour job creation scheme. And they wanted in fact in a perfect world, cancel the second carrier or in fact if not that, put the first carrier into reserve and build the second one. But they were certainly playing with the idea of cancelling the second carrier. And the chairman of BAE, sponsored I think by the Navy, to some extent, wrote to the Prime Minister and said look, if you scrap the second carrier, if you don’t build it, there isn’t going to be a shipbuilding industry because, BAE will have to lay off most of its shipbuilders, you say you want a new frigate, but that’s not going to be developed for in time to retain the workforce. Basically, if you scrap the second carrier, you will destroy the British warship building industry, indeed the British shipbuilding industry. And the government could hardly, that letter was leaked, it was certainly published, and the government could hardly do anything else but keep the carrier Prince of Wales. The idea originally being that the Prince of Wales would be the ship brought into service and what would happen to Queen Elizabeth? Well she might be put into reserve, etc. That actually didn’t happen. But certainly, the main reason that the second carrier was retained, the fact that the carrier force was retained was basically industrial, rather than strategic. It wasn’t as many people say, that cancelling the ship would’ve cost more than building it that’s not the case. The real point was, that if you cancel HMS Prince of Wales, the second aircraft carrier, you will cease to have a warship building industry. RH: Without being overdramatic, it is somewhat of an apocalyptic situation for Great Britain not to have a shipbuilding industry. What would the alternative have been in the defense policy if Great Britain did not possess an organic shipbuilding industry then? EG: Well, it would certainly create a lot of unemployment along the Clyde. And given the fact that the carrier was also being built on the Tyne, on the river Mersey and down in Appledore, it would’ve created considerable unemployment, and that would have been politically unwelcome. BAE would have continued building jet fighters although this is a whole new issue which we can’t go into about the future of the Typhoon and so on. Certainly, BAE also got in on the F-35 program. One tends to forget that a significant part of the F-35 is built actually in Lancashire in the northwest of England. So, BAE would’ve continued, but certainly I think it was the jobs implications, the fact that BAE would’ve had to have laid off most of its shipbuilding people, and this would’ve led to considerable social problems, and indeed political problems, it might’ve made the Scottish Nationalists more powerful than they became. RH: Outside of the social issues that you just described in detail, would the other areas of the British defense policy be able to pick up the slack with the massive diminishment in British Navy? EG: Not so much shipbuilding no. I mean, nowadays British shipbuilding depends very much on warships. The carrier program has been a tremendous fill in for the shipbuilding industry. I always say when I talk about it you know, it’s not just expenditure on a ship there’s been investment for example on the Cammell Laird which allowed them to take on extra work, a major shipbuilder on the Mersey. There’s been a tremendous investment in skills and so on in British industry. And in fact, not for the first time, naval policy has been, governed perhaps is too strong a word, but strongly influenced by industrial factors. Way back in 1909 there was a crisis. We wanted battleships and we won’t wait. That was to get private shipbuilders to invest in shipbuilding capacity. During the 1920s and 30s there were great concerns about the decline in the shipbuilding industry and building ships. In the 1970s, it was quite a boom then, and it was to keep the shipbuilders in work. So, in fact this sort of interplay between naval policy and industrial and social policy is very important. RH: So, thank you again for the various options that came with the 2011 Defense findings and assumptions. After being obstructed for a considerable amount of time by the Tornado mafia, you praise the 2011 edition of the British maritime doctrine, for our policy wonks out there it is JDP 0-10. It is the first release since the mid-1990s. Can you run the listeners through how the document represented the natural evolution through the wisdom of Sir. Julian Corbett and his belief in the roles of navies, in affecting what happened ashore? EG: Well yes, I mean I was involved actually in the first edition of Maritime Doctrine. I was a co-author way back in the 1990s. And in fact, in the latest issue, my own ideas were trying to develop future sea power, a sort of the triangle of naval roles, you know: warfighting, constabulary, and diplomatic had been developed there. But yes, I mean Corbett is sort of the origin, really of British maritime strategic thought. His idea of command of the sea being something from limited periods of time and limited areas chimes in very well with the doctrine of sea control which the Americans developed in the 1970s, and which is now standard naval thinking around the world. The idea he called it in 1911, the mounting of plex munitions, we call it power projection now, and he also emphasizes which is perhaps the most important thing, that in fact, one needs to think of a maritime strategy and not just a naval one. A naval one is almost incidental to using the sea as an important strategic factor, supporting troops ashore, supplying them, might not necessarily be actually marines, but as he said in the principles of maritime strategy, a major role in the Navy is what it allows your army to do. So therefore, the idea was that there was an overall maritime strategy that Britain could pursue. In some ways he was defeated. He was trying in the pre-first world war period, to avoid, we go back to it, a continental strategy. As things turned out, we couldn’t do that, or we didn’t do it. But certainly, the idea of naval power being part of a joint maritime strategy, the fact that there should be an emphasis on the sea, as an area over which one deploys forces ashore, the idea of power projection is very important. He didn’t say so much about the peacetime roles of naval power. Although he does at times refer to the policing function of certain ships. This kind of thing which we now call maritime security, the constabulary role. But certainly, in his balanced way at looking at maritime strategy, he took Clausewitz to sea, including Clausewitz’s ideas on limited war which was a very sophisticated foundation for the development of British naval thought, in the 20th and into the 21st century, and something that I certainly and my colleagues, who have produced doctrine over the years, have tended to emphasize. RH: Clausewitz at sea, that’s a first. For our listeners, in case you are interested, Corbett’s most famous work is Some Principles of Maritime Strategy which I think you’ll agree Dr. Grove remains a classic among students of naval warfare. EG: Absolutely. I in fact produced the United States Naval Institute edition in the classics of naval strategy series with my own introduction and footnotes, etc. That’s not an advertisement, but I think it’s still available, and certainly I mean I argue that, better than anyone else including Mahan, Corbett was able to tease out from the experiences of the past, lessons and principles perhaps for current and future application. That really was his genius. RH: For our listeners I’m going to read out Corbet’s four concepts, and it’s striking how applicable today. RH: Yeah, and number 4. The emphasis on efficiency at battle while preserving costly assets. That fourth one is interesting as if there was a budget around the corner and he had to do a little bit of bootstrapping. EG: Well, I think he was a bit concerned, about the Mahanian idea of you must fight a battle at all cost. This of course gets us into arguments that we can’t get into detail about the battle of Jutland, how far Corbett was responsible for the, perhaps some might argue, rather timid and non-aggressive approach of the Royal Navy at the battle of Jutland, certainly people at the time said he was. As I made clear in my introduction in my edition back in ‘88. And certainly, the fact that you don’t go into a headlong rush. In fact, he was rather critical of Nelson, he was enough of a heretic to be that. Headlong rush in Trafalgar. He thought that modern warships were too much of a national investment to be risked like that. RH: Its definition in terms of maritime power projection was wide ranging in utility and more importantly address the needs of the security landscape. Based on your expertise, can you address how maritime security provided for where UK interests needed protection? And for our listeners, maybe you could provide some examples to illustrate your point. EG: Do you mean the concept of maritime security as part of the three-fold role if you see what I mean, rather than maritime security in a much broader sense? RH: I think it was much more of the refined sphere I was referring to. EG: Well maritime security of course, British contributions to evacuating nationals from various places, various times, from Lebanon for example, in relatively recent years. Dealing with anti-piracy operations, in fact there was this great growth in piracy and this led to the Royal Navy playing a leading role in dealing with it. Developing tactics such as fast boarding and this kind of thing, in fact it might be argued that piracy and anti-drug operations became the main roles of the Navy, for a time actually, in the 21st century, the maritime security role came to dominate. This led to debate about whether one needed sophisticated frigates or destroyers to take part in these operations. So maritime security in the broadest sense. Particularly with the possibility of terrorism at sea which I always thought whose threat was hyped a bit too much. But nonetheless, you know keeping good order at sea became perhaps the predominant role of the Royal Navy for most of the 21st century so far. Although that is changing now. RH: I mean everything you said is right on when you refer to these, the British maritime doctrine refers to these as benign operations. And like you said in terms of humanitarian, the British assistance during disaster relief operations after the Indian Ocean tsunami, and again with the trends in climate change, the rising sea levels, the very frequent environmental disasters that have occurred. I think we’re both in agreement that the Navy will have to play a much more of a dual role in this type of operation in addition to power projection. EG: Absolutely, well it was one of the arguments in favor of the aircraft carrier is that it’s a box that floats. And it could be used for anything, and certainly I noticed that the naval spokesman had been arguing the case for as you say the benign role, in which a sense you can differentiate perhaps from constabulary in the broadest sense. Constabulary is the application of laws perhaps using a certain amount of force within our mandate etc., but benign as you say in disaster relief and so on. That’s a term we invented actually in our original edition of British Maritime Doctrine back in the 90s, but yes, these broad roles, and in fact warships including the biggest, including the carrier, are being justified very much in terms of disaster relief and so on and it’s not special pleading. These are the kinds of things, things that float and have space, and can operate helicopters, and operate medical facilities. RH: Another asset outlined in the British Maritime Doctrine is the more traditional role which was Britain’s international engagement, as in the aim to prevent conflict from emerging. Can you elaborate on theory and in practice what the concept of conflict prevention from the Royal Navy actually means? EG: It’s the ability to sort of deploy forces of a contingent basis, perhaps visibly, perhaps not, so that measures can be taken in due time to deter action and or control action should it occur. One thinks of perhaps, the operations of the British aircraft carrier in the Adriatic, in the 1990s which I had the privilege of seeing when I was writing something for Ark Royal and I was onboard her. And having a contingent force in the ship to actually support the peacekeeping force ashore should that get into trouble, we always try to be within range of the Army ashore. So as a contingency force hopefully in fact flying overhead to deter and prevent people who might want to interfere with the activities of the UN protection force, poise, is a British maritime term. Poised to protect as Ark Royal liked to say. So, you can keep something poised on international waters, where you could move, but you could also produce a graduated and potentially forceful response ashore. You don’t want to use force if you can avoid it. So that you can help control and stabilize what goes on ashore. You can see it too in Operation Palliser, the Sierra Leone operation in 2000. Perhaps the most successful of Mr. Blair’s wars. Where in fact you brought in naval forces, maritime forces, these could land troops, these could provide troops ashore, they could support them, and they could also overfly and deter the Sierra Leonean rebels and others in the hugely sort of disorganized affair ashore from interfering with the British because if they did, they might suffer air attack. We didn’t have to carry out the air attacks, but the deterred threat was there. RH: That’s a perfect segue Dr. Grove because staying within the international engagement asset role, let’s take a trip back in time and discuss deterrence. I think you would agree, looking back at history is sometimes the best way to speculate on the future. Especially since, deterrence as a contemporary concept has been resurrected due to the deteriorating European security landscape for numerous reasons. RH: As you know, new prime ministers are asked to write letters of last resort on their first day in office which are sealed and given to the captains of the UK’s submarines in the event that the government is wiped out by nuclear strike. Labour leader Jeremy Corbyn is on record saying nuclear weapons are not the solution to the world’s security issues. They are a disaster if ever used. We spoke about it very very lightly already can you describe the primary function of strategic deterrence at sea within the UK framework? EG: Well basically, Britain deploys at all times one nuclear powered ballistic missile submarine with a number of apparently eight missiles with up to 40 warheads on board. These provide a range of potential nuclear responses. One suspects that about two of the missiles are single warheads, one with a low yield warhead one with a high yield warhead, and the rest carrying multiple targeted reentry vehicles. This gives you a spectrum of potential responses which any potential enemy should know about. And it deters everything from on one level the use of chemical weapons against British forces in the field, to a full scale attack on the United Kingdom. One imagines in fact that it would only be in extreme circumstances that nuclear weapons might be used, hence the letters of last resort, what Mr. Corbyn would write: heaven knows, but of course one doesn’t know what’s in there and one hope would any potential aggressor would in fact take the worse possible solution. And it’s interesting too, how a captain would react if Britain had been knocked out and apparently, they monitor the long wave Radio 4 programs actually apparently as a sign of what’s been happening and if they disappear something has gone dreadfully wrong. So yes, I mean at the top end of all this deterrence you have the deterrent force. Britain remains, despite the attitude of a small number of people in the Labour party, committed to retaining a deterrent, there is a new so-called successor class of submarines, the first is called HMS Dreadnought, the other which is currently under construction just over the way from where I live, in northwest of England and there’re going to be three more, probably three perhaps two but I expect a total force of four. Each can carry up to twelve missiles, and they will retain the capability in close cooperation with the United States, but with totally independent British operational control. RH: I mean no doubt, in the event that Jeremy Corbyn was ever elected it would definitely have a major effect on the Trident delivery system. And as well even without Corbyn in power, the Scottish Nationalists are very much against nuclear posture of Great Britain. Complimentary to strategic deterrence is conventional deterrence which is risen in respectability, according to your professional perspective since the 1990s.Can you start by distinguishing the difference for our listeners, between strategic deterrence and conventional deterrence, and explain why maritime forces are particularly well-suited for conventional deterrence. EG: Right well, strategic deterrence is considered to be fundamentally nuclear. And that you have a secure second-strike capability in your submarine, this cannot be taken out by your potential opponent, and it gives you a set of nuclear options, including full scale Armageddon if Britain suffers nuclear attack. Conventional forces of course play a part in an overall deterrence strategy, certainly they did in the days of the Cold War, because the idea was you started fighting at the conventional level, and then perhaps you will escalate in controlled kind of way. The Trident force can still do that, it used to be called sub-strategic capability, Now I think that’s out of fashion, as any use of nuclear weapons would be strategic. As far as conventional is concerned yes, demonstrating to a potential opponent if they engage in some kind of operation, they will face a conventional response which might well defeat that operation. The best example of this perhaps was back in the early 70s when HMS Ark Royal flew its aircraft over Belize to try and prevent an invasion coming because it was thought there might be and the thought of having to operate against a strong force of Buccaneers and Phantoms rather put the potential aggressors off. And of course maritime forces could be brought to bear extremely effectively. The RAF would’ve had great difficulties in doing anything over Belize because it was out of range, but bringing aircraft within range of the potential target is what maritime platforms can do and that’s the basic argument in favor of Britain having a carrier capability being restored in the 2020s. RH: Your example illustrates perfectly as you say in the piece that conventional deterrence is the UK government’s most versatile military means. RH: The last major asset per the British maritime doctrine that you described is the concept of presence as a multiplier of UK influence. The very famous First Sea Lord Mark Stanhope acutely recognized the benefit of this concept which still stands today. Can you elaborate on this concept and integrate it into the 2003 Operation Keeling that took place in Sierra Leone? While the Invasion of Iraq was ongoing. EG: Yes, I mean presence in general is having a force in the area and making it known, in fact I just marked a PhD thesis, very interesting, which argued in fact there was a fundamental concept in the idea of visibility. Having maritime forces that can be brought to bear and being visible, greatly enhances deterrence. Of course, to some extent, you can have a deterrence force which might be there or might not be there hence the importance of submarines. Having a capacity to be there can be important. I mean well you could argue that the Falklands War broke out because we were doing away with our naval presence in the area. It wasn’t very powerful in itself, HMS Endurance the ice patrol ship, but it was an important intelligence gatherer, and announcing it was going to be withdrawn gave the Argentines the impression that in fact we were not serious about defending the Falklands. And the invasion went ahead. So, having some kind of naval capability in the area as a mark of national interests and national commitment is very important. RH: Prior to getting into the specifics of Operation Keeling, I just want to tell the listeners that the Sierra Leone civil war began in March of 1991 when the revolutionary United Front with the support of special forces of Charles Taylor’s National Patriotic Front of Liberia intervened in Sierra Leone in an attempt to overthrow the Joseph Momoh government. The resulting civil war lasted 11 years and left tens of thousands dead. So, Dr. Grove, how does Operation Keeling fit in with the concept of presence with Sierra Leone? EG: I think in a way, the important thing in Sierra Leone was that firstly we showed a willingness to intervene. And then by deploying ships, we showed a continuous willingness to intervene in the area to help stabilize things. And I think that that is the important thing. If you are in the area, and if you can bring forces to bear in the area. And if you have shown and demonstrated a capacity albeit in a limited way to use force ashore as we did in Sierra Leone, then I think that it could act as a very stabilizing influence. It didn’t solve the Sierra Leone problem, but certainly it prevented a victory by the RUF, by the rebels, which could have had disastrous consequences. Both in terms of what happened in Sierra Leone and what it indicated to those elements such as the Liberian government at the time who wanted to sort of pursue their highly selfish interests. RH: No, it speaks volumes to the effectiveness of the strategy, that while it didn’t end it, it at least prevented more bloodshed. RH: Fast forward to the National Security Strategy and Strategic Deference Security Review of 2015 which outlined the United Kingdom’s defense strategy up to 2025. The threats faced by the UK included its overseas territories and overseas interests that have increased in scale diversity and complexity since 2010. Increasing threats posed by terrorism, extremism, and instability, the resurgence of state-based threats, the impact of technology, especially cyber threats, and the erosion of rules based international order making it harder to build consensus and tackle global threats. Based against a litany of threats, as outlined by the national security assessment, can you contextualize the 2015 SDSR within a maritime context? EG: Yes, I think those were actually quite good in a way. They said that the terrorist threat is the most likely, which is true of course, we have suffered terrorist attacks, but the important thing I think is to say the second one, that in fact the increasing confrontation on a rather more traditional level, with powers, you can’t mention it, but particularly Russia and so on. Cyberwarfare, very important. Of course, there has to be an investment in that, but in the maritime side it demonstrates that we have to reorient ourselves away from a primary constabulary-based navy or a navy that was doing primarily constabulary roles, back toward a more traditional warfighting role. The Russian submarines are out again in the Atlantic. I was down in the fleet air arm station in Carl Drove’s recently, the anti-submarine helicopter headquarters, and the captain there was saying a major preoccupation is keeping an eye on Russian submarines. Of course, our problem there or one of the problems is that in 2010, we did away with our fixed wing maritime patrol aircraft and it will take time for this capability to be restored. They’re operated by the RAF but they’re part of our maritime capability. The carrier force, very important. I’ve been engaged in some discussions about the possibility of going back to something like a forward maritime strategy. Of course, the number of American carriers might not be sufficient so having a contribution to a forward carrier force and amphibious forces in the use of the northern flank, very important. Operations in the Baltic, Operations in the Mediterranean, and of course depending on the relationship of China with its neighbors, in the East China Sea, given the fact that Mr. Trump is making rather conciliatory noises, it’s interesting to note that the carrier will be going to the Far East, partly I think for diplomatic reasons, but also probably to show that we can help strategically there, so in fact in the changing environment, going back to the future and having a more warfighting navy is important. There are question marks about the new frigate program, the new lighter frigate which will be marvelous for the constabulary role, perhaps ought to have the capability to carry out higher level operations. I mean whenever I go to the staff college and see the junior naval officers there I argue this case very strongly. We have to go back to an expertise on anti-submarine warfare, an expertise on anti-air warfare, anti-surface ship warfare, all these various dimensions of warfighting. And this is something that is going to have to come back, it’s priority too, it’s perhaps less likely, but on the other hand, it is much more likely than it used to be. RH: I mean I couldn’t agree with you more with all of the threats posed by new technologies and cyber penetration. It is sometimes easy to forget the validity of going back to basics in terms of protecting interests and projecting power. RH: Finally, prior to the 2015 SDSR, you praise the development of a strategic tripod of roles to support, to develop the size, shape, and capabilities of the future British fleet. As outlined by first sea lord Admiral George Zambellas. They are: Continuous sea deterrence, continuous carrier strike, and continuous amphibious readiness. RH: To support these core capabilities, and meet the requirement of its international engagements, a new generation of surface combatants was called for. To date, has the introduction of the tripod system met or fallen short of your professional expectations? EG: Well if we could keep it, it would be good, but continuous amphibious readiness is looking a little threadbare at the moment. The Ministry of Defense has been going through a serious cost cutting process, in fact the mine countermeasure force has been reduced. Not actually with the types of mine countermeasure ships that the Navy wanted to keep, it was just convenient to scrap two. You know one had lost its crew and the other was about to be refitted. This demonstrates the problem of budgetary constraints and budgetary pressures with adherence to strategic and operational planning and it has been reported at the press, although it has been denied as being the final decision that in fact the two amphibious docks might be taken out of service. One currently is in reserve, one currently is in service, this would be a tremendous blow to the amphibious ability of the UK and to the Western alliance. So continuous amphibious readiness always seemed to be a little bit of an add on, although it had proved to be crucially important in the post-Cold War period. That appears to be under something of a cloud at the moment. A continuous carrier strike is fine and continuous sea deterrence, but the problem is, is there enough budget to do all three things properly? And the answer is perhaps not. That is the challenge, but we must in fact, finesse together strategic and operational thinking and the shape and size of the fleet. There are signs that that is proving too fickle at the moment, so we’ll watch this space. RH: Well based on your answer, it seems as if that the tripod system is meeting expectations but is unrealistic in application due to the limited funds to sufficiently finance all of these operations. Dr. Grove, based on our conversation, it goes without saying that the ability for the UK to continue to project power beyond its borders and respond to challenges in the 21st century will be dependent on Westminster being able to find and utilize a dynamic Royal Navy. Against the backdrop of Brexit it goes without saying this is true. As we submerge on another sea control series podcast, do you have any operational takeaways for the listeners or issues related to the UK’s naval strategy that we should keep an eye on moving forward? EG: Well, I think first of all watch out for how far the air groups of the carriers are going to reflect the proper operational requirement. Which is 36 aircraft, that might be two American squadrons and one British squadron, I don’t think we get another British squadron until 2022. But certainly, the carrier strike capacity is so central that it needs to be properly serviced. There may be some people in high positions that have said an increase in the strength of the Royal Navy is coming, because of the new cheaper Type 31E frigate or super corvette. Watch this space. Are we going to have these ships put into service faster than the rather more capable Type 26 ships? Are we going to maintain 19 frigates and destroyers, or are we going to increase? Are we going to maintain the nuclear submarine force with its cruise missiles, the answer is probably yes. How far though, will the nuclear deterrent program eat into the Navy? I ended my book Vanguard to Trident with some considerable worries of the impact of the Trident force on the rest of the Navy. I’ve become somewhat of a born again Trident man, but unless the government is willing to spend more on defense, that depends very much on the economic results of Brexit: positively or negatively. Then we are going to have a crisis and we won’t be able to do everything we want to do. But that’s been the name of the game in defense policy in general and in naval policy in particular ever since the end of the Second World War and probably before it. RH: So, a note to all of you Brexit followers, when you need a break from negotiations, be sure to follow all of Dr. Grove’s suggestions. Once again Dr. Grove, it was a pleasure hearing from you today, and I wanted to thank you for graciously passing on your wisdom and insight. RH: If our listeners want to follow up on the UK naval strategy or desire a better outlook on the general maritime domain the Routledge Handbook of Naval Strategy and Security edited by Sebastian Bruns and Joachim Krause, published in 2016 is an indispensable resource to have. In addition, please visit www.kielseapowerseries.com for more info on the book and other podcasts derived from the book. Dr. Grove, you were at the Kiel Seapower series, do you have a quick comment for our listeners on it? EG: It was very useful, it was a very useful talk and a very useful meeting and in fact I’m very pleased that in fact such high-level discussions on such an important matter were taking place. Kiel of course is in the Baltic, and that’s a whole different story, but you never know, we have thoughts of sending carriers there in the past, you never know we might do it in the future. RG: Well with no shortages of maritime issues as Dr. Grove has echoed, within the greater geopolitical landscape, I will be back to keep CIMSEC listeners well informed. From the Institute for Security Policy at Kiel University and its adjunct center for maritime strategy and security, I’m Roger Hilton saying farewell and Auf Wiedersehen. Professor Eric Grove is an independent Naval Historian and International Strategic Analyst. Until January 2015 he was Professor of Naval History and Fellow in Security Studies at Liverpool Hope University. He was previously Professor of Naval History and Director of the Centre for International Security and War Studies at the University of Salford, and Deputy Head of Strategic Studies at the Royal Naval College, Dartmouth. His publications include:- World War Two Tanks;Vanguard to Trident;The Future of Sea Power; Fleet to Fleet Encounters; and The Royal Navy Since 1815. Professor Grove has taught and lectured in North America, Australasia and Asia. He frequently contributes to radio and television programs on naval history and the wider security agenda. Roger Hilton is from Canada and a graduate of the Diplomatic Academy of Vienna where he holds a Master’s Degree in Advanced International Studies. He has previous experience at the Office of the State Minister of Georgia for European and Euro-Atlantic Integration as well as with the delegation of the Kingdom of Belgium at the Organization for Security and Co-operation in Europe. Since 2017 he is a Non-Resident Academic Fellow at the Center for Maritime Strategy & Security at the Institute for Security Policy at Kiel University in Germany. His research publications concentrate on transatlantic affairs and the post-Soviet sphere. Cris Lee is Senior Producer of the Sea Control podcast. In the spring of 1798, the United States found itself in an undeclared naval war with France. 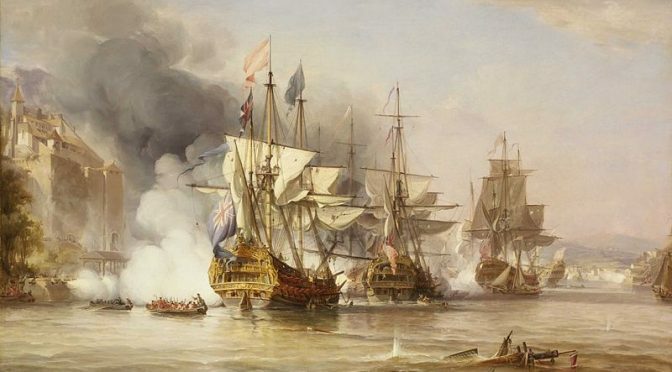 Known as the Quasi-War, this eighteenth century “half-war” holds valuable lessons for maintaining maritime superiority in the twenty-first century. This tumultuous period is the origin of the modern United States Navy, Marine Corps, and Coast Guard. During this time, the geopolitical situation in Europe was altering the maritime landscape worldwide just as the United States was developing its foreign policy. Europe’s upheaval and the United States’ first forays into international politics resulted in the Quasi-War. The conflict and the politics that surrounded it present three timely lessons for the United States as it focuses on maintaining maritime superiority in an evolving maritime domain. Foremost among these lessons is the notion that maritime superiority is temporal: the maritime security environment is perpetually evolving; a superior navy today may be inferior tomorrow. Secondly, the dynamic maritime environment requires broad strategic foresight from politicians, military planners, and civilians. Lastly, the conflict illustrates the need for an integrative maritime strategy, which incorporates all the elements of maritime power at a nation’s disposal. These lessons have applicability across a wide spectrum of maritime issues, from shipbuilding and operational art to budgeting and politics. While the U.S. Navy traces its origins to 13 October 1775, that beginning was fleeting. Upon the conclusion of the War of Independence, the United States disbanded the Continental Navy and the ships, seamen, and officers returned to civilian life. Despite the ratification of the Constitution of the United States in 1789, which empowered Congress “to provide and maintain a Navy,” it was not until five years later — in 1794 — that Congress authorized the procurement of six frigates, and yet another four years before those frigates were commissioned.1 Through authorizing the procurement and staffing of six frigates, Congress set in motion the origins of the modern U.S. Navy we know today. Distinct from the Continental Navy by virtue of its mission — defending the sovereignty of the United States—the modern U.S. Navy’s origins in the Quasi-War defined many of the relationships and procedures used today. In 1789, the United States was looking inward with early American foreign policy focused on isolationism and neutrality. Two documents—the Proclamation of Neutrality and the Naval Act of 1794 – would come to define relations with the two nations most important to the initial development of the United States – France and Great Britain. The Proclamation of Neutrality issued by George Washington in 1793, declared that the United States would be neutral in the dispute between Britain and revolutionary France. Believing that involvement in a war between France and Great Britain would be an economic and diplomatic disaster, the proclamation stated, “the duty and interest of the United States require, that they should with sincerity and good faith adopt and pursue a conduct friendly and impartial.”2 Shortly after, in response to the threat posed by Barbary Pirates, the United States Congress reluctantly passed the Naval Act of 1794, authorizing the building and equipping of six frigates.3 Rectifying foreign policy ideals of neutrality with worldwide threats required concessions. Rectifying isolationist foreign policy ideals with a world at war required concessions. The French and British had been at war since 1793 and the French viewed the Jay Treaty as siding with Britain.6 Therefore, securing peace with the British meant angering the French, who felt betrayed. However, in 1795, resolution with the British took precedence. Feeling threatened and betrayed by this Anglo-American relationship, France retaliated. This retaliation took many forms, most notably French privateers began to attack and harass American merchant ships. Thus, United States merchants felt little relief – in essence trading British attackers for French. Using an article from the Treaty of Commerce and Amity between the United States and France, which required that during wartime merchant ships provide detailed certificates (something American vessels rarely possessed) for the crew and cargo, the French boarded, seized, and sold more than 300 American vessels in 1795.7 Increasing the provocations, in 1796, France issued orders to attack American ships. Escalations continued, and by August 1796, French agents in the West Indies were issuing directions to attack American merchant ships.8 Over the course of the following nine months the French captured 316 American merchant vessels – more than six percent of the nation’s merchant ships. 9 The economic toll on American merchants was severe.10 Despite receiving authorization in 1794 to construct six frigates, the United States remained incapable of countering the French transgressions. 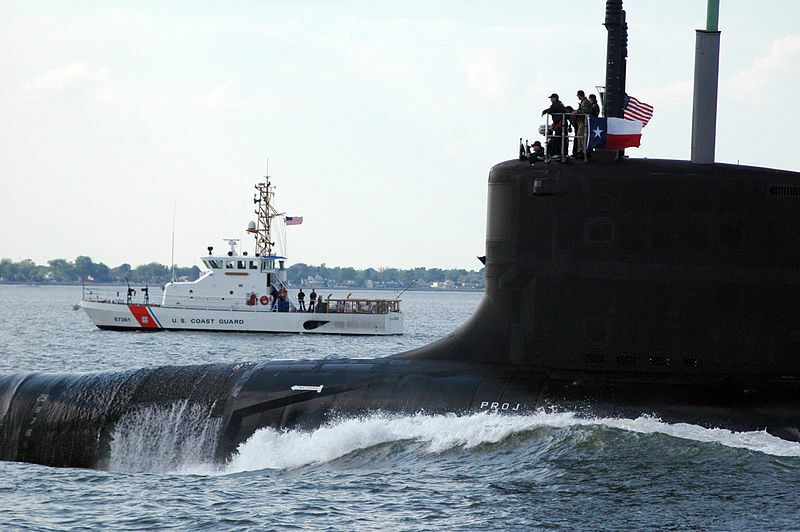 In June, the USS Constellation and the USS United States joined the USS Ganges. Moreover, on July 7, 1798, Congress rescinded all treaties with France.18 The same day, the USS Delaware captured the French privateer La Croyable off the shores of New Jersey.19 Two days later, President Adams signed “An Act Further to Protect the Commerce of the United States,” thereby authorizing military force against France.20 Besides public armed vessels, this Act authorized the president to “grant commissions to private armed vessels, which shall have the same authority to capture, as public armed vessels.”21 Foremost, this act illustrated that the United States was not going to have its sovereignty questioned – even by a former ally such as the French who just a few years before had helped the United States secure their sovereignty in the Revolutionary War. Less explicitly, the President and some congressional leaders began to see the United States’ prosperity as inextricably tied to its maritime security and acquiring and maintaining that maritime security required a navy.22 While the debate over a permanent navy continued, the events of the preceding five years went a long way towards securing its permanence. Despite being outgunned and relatively inexperienced, the U.S. Navy performed well during the Quasi-War. Considering its limited naval assets at that time, engaging with the much more powerful French Navy was audacious. This audacity, backed up by the nerve and grit of civilian mariners and buoyed by a political infrastructure that appreciated the maritime domain, proved fruitful. While these characteristics account for much of the success that the United States enjoyed, they are not the whole story. Political events in Europe aided the United States’ cause in no small part. The French Navy, depleted by years of war with the British and purges from the French Revolution, was not as formidable a foe as it could have been. In addition, the Royal Navy, eager to dispatch the French, willingly assisted their former colony’s fledgling navy. These factors, coupled with an underestimation of the United States’ willpower, explain why the French Navy struggled to counter the United States’ limited naval power. 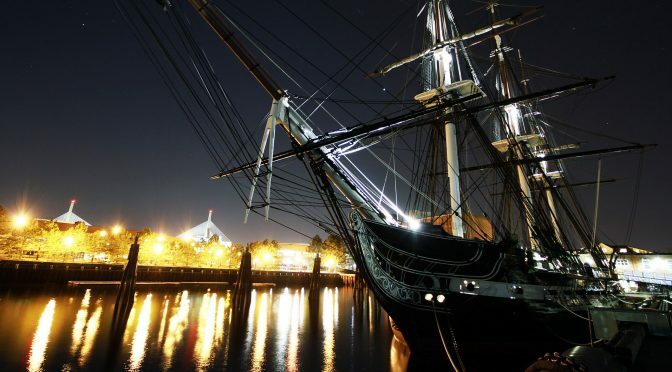 American naval vessels had early successes, seizing nineteen vessels from French privateers in the winter of 1798–99.23 In February 1799, the first major battle of the Quasi-War occurred between the USS Constellation (38-guns) and the French frigate L’Insurgente (36-guns) with the Constellation emerging victorious.24 A year later, the Constellation engaged in battle against the superior La Vengeance, a 52-gun Frigate.25 While the battle ended in a draw, the aggressive American naval response sent a clear message to their French adversaries that echoed John Adam sentiments – “We are not afraid.” By the time the Treaty of Mortefontaine ended the hostilities in September 1800, the United States had captured 85 French vessels and the French lost approximately 2,000 merchant vessels to U.S. privateers.26 Meanwhile, the United States lost only one ship – the USS Retaliation – during an engagement in November 1798 with two French frigates.27 Though these battles are indicative of the course of the Quasi-War, the U.S. Navy’s actions are only a part of a larger story. American successes during the Quasi-War were due, in no small part, to the successful employment of private mariners, the Revenue Cutters (the precursor to the U.S. Coast Guard), and some assistance from the Royal Navy.28 Throughout the course of the conflict, eight Revenue Cutters were at sea in support of naval operations along the southern coast and throughout the West Indies.29 These Cutters had a significant impact, taking eighteen of the twenty-two prizes captured by the United States between 1798 and 1799.30 Meanwhile, Letters of Marque authorized civilian mariners to act as surrogates to the Navy.31 Again, the impact was significant and immediate. In 1798 there were 452 civilian mariners armed in defense of the United States; that number rose to 933 the following year.32 The cooperation among these various maritime entities buoyed a fledgling U.S. Navy, setting the tone for a pattern of future successful engagements. The successful campaign waged by these maritime forces laid the groundwork for the peaceful resolution in 1800 of the Quasi-War. Though not explicitly mentioned, a variety of recent strategic documents on maritime superiority draw upon French and U.S. experiences during the Quasi-War. Three broad lessons from this period in early-American naval history become apparent: maritime superiority is not a permanent condition; maritime superiority requires broad strategic foresight across political, military, and civilian channels to prepare and design; and interoperability across the sea services is critical to the establishment and maintenance of maritime dominance – a powerful navy alone is not enough. These lessons, learned during the United States’ first military engagement with a foreign power, offer relevant guidance for military planners designing a maritime strategy for maintaining superiority. Currently, there is a surge in maritime power across the world. In the Asia-Pacific, China’s increasingly powerful and capable maritime capability allows for an aggressive policy in the region.37 In part a reaction to China’s maritime polices, the remaining countries of the Asia-Pacific region are upgrading, re-aligning, and expanding their maritime domain capabilities.38 The Indian Ocean Region and the Middle East are experiencing similar transformations in the maritime domain, led by India and Iran respectively.39 Meanwhile, the Russian Navy is flexing its might throughout the aforementioned regions, as well as the seas of Eurasia and the Pacific and Atlantic Oceans. The United States would do well to look at the French Navy’s experiences during the Quasi-War and realize that capacity is not the only factor in maintaining maritime superiority, and without the proper manning, training, and equipping that maritime superiority will be short-lived. To echo Admiral Richardson, if the U.S. Navy fails to recognize and adapt to the evolving maritime security environment it risks falling behind competitors.40 Today, there are more competitors than ever before and the United States would do well to look back to the waning years of the 18th century for guidance. As the French fleet stretched itself thin across numerous theaters and campaigns, the Americans were re-establishing theirs with a very specific objective – defending their maritime domain. Conversely, the French, depleting their resources in an extended war with Britain and dealing with domestic turmoil, were stretched thin and unable to marshal the strength necessary to dominate the United States Navy in the Western Atlantic. Therefore, while the French Navy of the 1790s was superior to the U.S. Navy, the events of the Quasi-War illustrated that maritime superiority is a perishable advantage, even more so when not given the proper attention. The Quasi-War illustrated that achieving and maintaining maritime superiority takes a composite of political willpower, military planning, and civilian ingenuity. Despite the United States Navy’s successes during the Quasi-War, it took years for the United States to commission the six frigates authorized by the Naval Act of 1794, which put victory in jeopardy. Even with the commissioning of the six frigates, the U.S. Navy was still a limited naval power compared to France. These limitations were only overcome by the integration of Revenue Cutters and privateers. Without these developed maritime services, the United States would have had little recourse against French transgressions. In The Future Navy, the CNO stresses the importance of having the right navy in the right place for our decision makers. Although a perceptive understanding of geopolitics can allow for some preventative measures, a navy being in the right place is primarily a reactive measure. Having the right navy though, is a proactive process – there exists a critical distinction between acting now versus then. As the CNO notes, to remain competitive, “we must start today and we must improve faster.”41 This strategic foresight needs to be broad and encompass political, military, and civilian dimensions; it needs to account for the time and effort it takes to fund, design, commission, and deploy new ships; it must account for the geopolitical situation and the status of enemies and allies alike; and it must acknowledge the time and funding necessary to sustain the material condition and readiness of the existing fleet. When post-revolutionary America began construction of the original six frigates, there was intense debate surrounding the need for a standing navy. While provocations from Barbary pirates set in motion the re-constituting of the U.S. Navy, it took intense French harassment of merchants to rally enough support to actually build, train, and equip that navy. Four years later, those frigates would form the backbone of the maritime campaign against French provocations. Had it not been for the prescience and practical leadership of Presidents Washington and Adams, civilian leaders like Secretary of the Navy Benjamin Stoddert, and shipbuilders like Joshua Humphreys, the United States would have been unable to counter French provocations. Conversely, the French engagement of the United States during the Quasi-War was a sideshow that the French Navy was not prepared to effectively prosecute. The French government (known as the Directory during the Quasi-War) was engaged with the British at sea and revolutionaries at home and thus was unable to mount an effective strategy across political, military, and civilian lines. In a time of continued budget restraints and political divisiveness, leaders must take a holistic approach when assessing the cost-benefit analysis of maintaining a large Navy. As historian William Fowler writes about the Quasi-War, “[it is estimated] that cost savings to the American merchant marine exceeded the U.S. Navy’s costs during the war.”42 In short, doing nothing can cost more than doing something. Leaders must realize that maintaining maritime superiority requires funding, design innovation, and a well-equipped workforce in addition to an operational strategy that effectively allocates naval resources.43 Anything less risks ceding the maritime superiority that the United States has enjoyed for decades. Borne of the first two, the last lesson concerns the need for cooperation across the sea services. The U.S. Navy performed admirably during the Quasi-War, but it was their effort combined with those of the privateers and Revenue Cutters that lead to victory.44 These entities – though transformed over the intervening years – still represent the formal elements of the United States’ maritime security infrastructure and their ability to work together proved critical during the Quasi-War. Across the spectrum of maritime operations, the increased integration of these maritime entities would enhance the nation’s ability to maintain maritime superiority. The sheer diversity of forces working at play in the contemporary maritime security environment necessitates that the U.S. Navy, Marine Corps, and Coast Guard continue working toward a cooperative and integrated effort to support national objectives. Such interoperability proved critical during the Quasi-War and will prove useful again. As noted in the National Strategy for Maritime Security, “maritime security is best achieved by blending public and private maritime security activities on a global scale into an integrated effort that addresses all maritime threats.”45 There is promise in this increased integration. A Cooperative Strategy for 21st Century Sea Power – a joint U.S. Navy, Marine Corps, and Coast Guard strategy – details how to “design, organize, and employ the Sea Services in support of our national, defense, and homeland security strategies.”46 Shortly afterwards, the U.S. Navy and Coast Guard expanded on the guidance, delivering The National Fleet Plan: A Joint United States Navy and United States Coast Guard, which details steps taken to identify opportunity for interoperability in areas of logistics, warfighting, and strategy.47 Likewise, the Marine Corps after years of fighting land wars, is re-engaging with its amphibious roots.48 The interlocking relationships these documents envision are critical for maintaining maritime superiority. The relationship between the U.S. Navy, Coast Guard, and civilian mariners would do well to get “back to basics” by becoming acquainted with the lessons from the days of the Quasi-War. Then, like now, there is a shared mission that transcends the boundaries between civilian and military and between the various services. In the run up to the Quasi-War, the complexities of domestic politics and the global order made interoperability necessary and practical. Today, the same situation exists. Focusing on the strengths and limitations of the individual entities allows for better planning and efficient use of limited resources. The world for all its changes bears a number of similarities to the late 18th century. Maritime shipping still represents the backbone of the U.S. economy – and by extension – its power and influence; contested waters still abound despite centuries of legal and practical solutions to remedy ambiguity; and the United States is again searching for that balance between neutrality and strength. As Seth Cropsey, former undersecretary of the Navy wrote, “Wide-ranging sea power is not so much an instrument of force –although that it is – as a condition of stable commerce, effective diplomacy.”49 It is this understanding that underpinned the establishment of the modern U.S. Navy and Marine Corps during the waning years of the 18th century as the United States faced a conflict that it was ill prepared to fight. Then, as now, geopolitics rarely waits for nations to get ready. You go to war with the forces you have. LT David M. Andre is a former Intelligence Specialist, and has served as an Intelligence Officer and Liaison Officer assigned to AFRICOM. He is currently serving as N2 for COMDESRON SEVEN in Singapore. He can be reached at dma.usn@gmail.com. The views expressed above are the authors’ alone and do not reflect the official views and are not endorsed by the United States Navy, the Department of the Navy, the Department of Defense, or any other body of the United States Government. U.S. Constitution, Article I, Section 8, Clause 1. Yale University. “The Proclamation of Neutrality 1793.” Accessed 01 June 2017. http://avalon.law.yale.edu/18th_century/neutra93.asp. George Washington’s Mount Vernon. “The Naval Act of 1794.” Accessed June 15, 2017. http://www.mountvernon.org/education/primary-sources-2/article/the-naval-act-of-1794/. United States Department of State. “John Jay’s Treaty, 1794-95.” Accessed June 4, 2017. https://history.state.gov/milestones/1784-1800/jay-treaty. Mariners Museum. “The Quasi-War with France 1798-1800: The Jay Treaty.” Accessed June 12, 2017. https://www.marinersmuseum.org/sites/micro/usnavy/05/05b.htm; https://history.state.gov/milestones/1784-1800/jay-treaty. United States Senate. “Uproar of Senate Approval of Jay Treaty.” Accessed June 12, 2017. https://www.senate.gov/artandhistory/history/minute/Uproar_Over_Senate_Treaty_Approval.htm. Treaty of Amity and Commerce Between The United States and France; February 6, 1778, http://avalon.law.yale.edu/18th_century/fr1788-1.asp. Donald R. Hickey, “The Quasi-War: America’s First Limited War, 1798-1801,” The Northern Mariner/le marin du nord, XVIII Nos. 3-4, (July-October 2008): 69. Larry J. Sechrest, “Privately Funded and Built U.S. Warships in the Quasi-War of 1797–1801,” The Independent Review, v. XII, n. 1, Summer 2007, ISSN 1086–1653, 2007, pp. 101–113. United States Department of State. “The XYY Affair and the Quasi-War with France, 1798-1800.” Accessed June 13, 2017, https://history.state.gov/milestones/1784-1800/xyz. Carol Berkin, A Sovereign People: The Crises of the 1790s and the Birth of American Nationalism (New York: Basic Books, 2017), 204. Naval History and Heritage Command. “United States Navy.” Accessed June 10, 2017, https://www.history.navy.mil/research/library/online-reading-room/title-list-alphabetically/e/founding-of-department-of-the-navy.html. Alchetron. 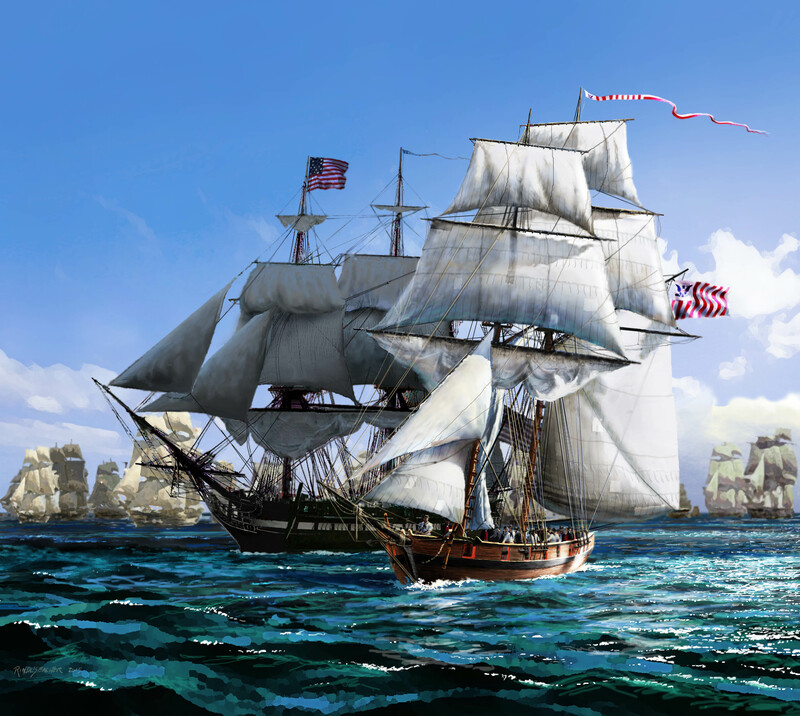 “Original Six Frigates of the United States.” Accessed June 14, 2017. https://alchetron.com/Original-six-frigates-of-the-United-States-Navy-3900375-W.
 Leonard Guttridge and Jay Smith, The Commodores (New York: Harper and Row, 1969), 22; Papers of the War Department: 1784 to 1800. “War Office orders for the pilot charged with delivery of dispatches for the Ship of War Ganges.” Accessed June 15, 2017. http://wardepartmentpapers.org/document.php?id=26708. James J. Farley. To Commit Ourselves to our Own Ingenuity: Joshua Humphreys Early Philadelphia Shipbuilding. https://earlyphiladelphiashipbuilding.wordpress.com/chapter-5-from-high-tide-to-low-tide-1798-1801/. Carol Berkin, Christopher Miller, Robert Cherny, James Gormly, Douglas Egerton,Making America: A History of the United States, Volume 1: To 1877, (Cengage Learning, 2007), 178. David Petriello. Military History of New Jersey. (South Carolina: the History Press, 2014), 97. Benjamin Brown French, John B. Colvin. Laws of the United States of America: From the 4th of March, 1789, to the [3rd of March, 1845] : Including the Constitution of the United States, the Old Act of Confederation, Treaties, and Many Other Valuable Ordinances and Documents; with Copious Notes and References, Volume 5. James A. Wombwell. “The Long War Against Piracy: Historical Trends,” Occasional Paper, Combat Studies Institute Department (2010): 67. http://www.dtic.mil/dtic/tr/fulltext/u2/a522959.pdf. Ken Hudnall, The Northwoods Conspiracy, (Grave Distractions Publication, 2011). Hampton Roads Naval Museum. “Pirates and Privateering in the New World.” Accessed June 18, 2017, http://hamptonroadsnavalmuseum.blogspot.sg/2016/07/pirates-and-privateering-in-new-world.html. United States Office of Naval Records. “Naval Documents Related to the Quasi War between the United States and France.” (GPO: 1935), 198. Yale University. “France—Convention of 1800: Text of the Treaty.” Accessed June 22, 2017. http://avalon.law.yale.edu/19th_century/fr1800.asp. American History Central. “Quasi War.” Accessed June 20, 2017. http://www.americanhistorycentral.com/entries/quasi-war/. James C. Bradford. America, Sea Power, and the World (United Kingdom: John Wiley & Sons, 2015): 31. United States Coast Guard. “The Coast Guard at War.” Accessed June 22, 2017. https://www.uscg.mil/history/articles/h_cgatwar.asp. Gregory J. Sidak, “The Quasi War Cases and Their Relevance to Whether Letters of Marque and Reprisal Constrain Presidential War Powers,” 28 Harv.J.L.& Pub. Policy 465 (Spring 2005) 471- 473. American Armed Merchantmen, 1798, and American Armed Merchantmen, 1799-1801, in Knox, Quasi-War, 2: 147-97, and 7: 376-438. John Richardson, Adm. A Design for Maintaining Maritime Superiority (January 2016). http://www.navy.mil/cno/docs/cno_stg.pdf. Niklas Frykman . Seamen on Late Eighteenth-Century European Warships. (2009), 84. Internationaal Instituut voor Sociale Geschiedenis. Jeremy Page, “ The Rapid Expansion of China’s Navy in Five Charts,” Wall Street Journal, April 10, 2015, https://blogs.wsj.com/chinarealtime/2015/04/10/five-charts-that-show-the-rapid-expansion-of-chinas-navy/. Geoffrey Till and Jane Chan, Naval Modernisation in South-East Asia: Nature, Causes and Consequences, (United Kingdom, Routledge, 2013): 113-116. Anit Mukherjee, C. Raja Mohan, ed., India’s Naval Strategy and Asian Security (Routledge, 2015); Shaurya Karanbir Gurung, “China’s Naval Efforts May Prove Wanting in Front of Indian Navy’s Experience,” India Times. http://economictimes.indiatimes.com/news/defence/chinas-naval-efforts-may-prove-wanting-in-front-of-indian-navys-experience/articleshow/57575868.cms. Yasmin Tadjdeh, “Navy Focuses on Maritime Superiority in Complex World,” National Defense, February 1, 2016. http://www.nationaldefensemagazine.org/articles/2016/1/31/2016february-navy-focuses-on-maritime-superiority-in-complex-world. John Richardson, Adm., The Future Navy White Paper, 2017. http://www.navy.mil/navydata/people/cno/Richardson/Resource/TheFutureNavy.pdf. William M. Fowler Jr., Jack Tars and Commodores: The American Navy, 1783–1815 (Boston: Houghton Mifflin, 1984): 41–42. Jessie Riposo, Michael E. McMahon, James G. Kallimani, and Daniel Tremblay, “Current and Future Challenges to Resourcing U.S. Navy Public Shipyards,” RAND Corporation (2017): Xviii. http://www.rand.org/content/dam/rand/pubs/research_reports/RR1500/RR1552/RAND_RR1552.pdf. United States Coast Guard. “Cutters, Craft & U.S. Coast Guard Manned Army & Navy Vessels.” Accessed June 23, 2017, https://www.uscg.mil/history/webcutters/cutterlist.asp. United States Department of State, The National Strategy for Maritime Security. September 2005, 13. https://www.state.gov/t/pm/rls/othr/misc/255321.htm. A Cooperative Strategy for 21st Century Sea Power. March 2015, https://www.uscg.mil/SENIORLEADERSHIP/DOCS/CS21R_Final.pdf. The National Fleet Plan: A Joint United States Navy and United States Coast Guard http://www.navy.mil/strategic/Fleet_Plan_Final.pdf. Otto Kreisher, “US Marine Coprs is Getting Back to its Amphibious Roots,” Defense Media Network, November 8, 2012, http://www.defensemedianetwork.com/stories/return-to-the-sea/2/. Seth Cropsey, MAYDAY: The Decline of American Naval Supremacy (New York: The Overlook Press, 2014). In July, two major announcements were made renewing the Royal Navy’s commitment to the principle of freedom of navigation in the coming years. Firstly, the Secretary of State for Defence, the Right Honourable Michael Fallon, told Reuters that Britain was intending to send a warship to the South China Sea in 2018. The Defence Secretary explicitly stated that, “we have the right of freedom of navigation and we will exercise it.” In a direct reference to China, he added, “we won’t be constrained by China from sailing through the South China Sea.” Shortly afterward, the Foreign Secretary, the Right Honourable Boris Johnson, announced that the Royal Navy’s new aircraft carriers (the first of which is currently undergoing sea trials in UK waters) would deploy to the Pacific region to conduct freedom of navigation operations “to vindicate our belief in the rules-based international system and in the freedom of navigations through those waterways which are absolutely vital for world trade.” This statement develops remarks made by Sir Kim Darroch, the UK Ambassador in Washington DC, at the end of last year. Although the UK has supported freedom of navigation as a matter of principle for centuries, its economic and practical impact for a leading world economy should not be ignored. The two are inextricably linked. In a recent address to a multi-national workshop on freedom of navigation and the law of the sea at the U.S. Naval War College, noted University of Virginia professor Ambassador John Norton Moore (ret. ), a member of the U.S. 1982 UNCLOS negotiating team, stated that the provisions of the treaty “for freedom of navigation are of the utmost importance in protecting global trade, one of the core mechanisms for global economic growth.” The United Nations estimated that in 2011, nearly half of the world’s annual trade by sea passed through the Malacca Straits and the adjacent South China Sea. The economic arguments for maintaining navigational rights in this region are unassailable, especially as the UK develops new trading relationships with Asian partners following its planned withdrawal from the European Union. Historically, the UK has not conducted a formal program of freedom of navigation operations in the manner that the U.S. has. Of course, ships of the Royal Navy exercise their legal rights through the waters of the world on a daily basis, whether transiting through key straits or conducting innocent passage through territorial waters of coastal states. Their presence provides security for commercial shipping of all nations that are exercising similar rights. The exercise of these rights is no different to the navy of any other country in the world (Chinese ships recently transited through the Dover Straits on their way to conduct exercises in the Baltic, a practice also seen from Russian ships). However, by highlighting these operations years in advance, the UK has given them added strategic significance. This approach does not form part of the U.S. program. Current U.S. policy seems to be that such operations are only confirmed retrospectively in the annual Department of Defense report. On the basis of announcements to date, the UK seems to be taking a more overt and open approach to the conduct of freedom of navigation tasking. As noted by Dr. Euan Graham, the use of an aircraft carrier would also be a significant change from current U.S. tactics. The actual operations are unlikely to appear dramatic and will probably be similar to those conducted by U.S. ships under Presidents Obama and Trump. One of the key considerations for the UK will be to clearly articulate what is being challenged by any particular operation to avoid inadvertently strengthening illegitimate claims (as discussed by Professor James Kraska in relation to U.S. operations here). In all likelihood, these operations will consist of straightforward passages possibly coupled with routine exercises such as a man overboard drill although such operational decisions are clearly speculative at this stage. But these actions speak louder than words. They demonstrate the resolve of the UK to maintain the rule of law at sea throughout the world, to support partner nations in the region which are committed to this concept (including countries such as Japan and India), and to continue a historic association with one of the oldest norms of international law. The UK has designated 2017 as the “Year of the Navy” and this commitment to conducting freedom of navigation operations halfway around the world shows both the value that is placed on this right and the resurgent capability of the Royal Navy to take action to preserve these freedoms. Lieutenant Commander Peter Barker is a serving Royal Navy officer and barrister. He is currently the Associate Director for the Law of Coalition Warfare at the Stockton Center for the Study of International Law (@StocktonCenter), part of the U.S. Naval War College. He can be contacted at peter.barker.uk@usnwc.edu. This post is written in a personal capacity and the views expressed are the author’s own and do not necessarily represent those of the UK Ministry of Defence or the UK government.